Public transport authorities in cities around Europe are expecting that once an EU disability rights bill is passed, they’ll have to improve ticket machines to make them easier to read for people who are partially or totally blind. But they won’t be forced to make drastic changes to help people with disabilities access transport stations and vehicles. The European Commission proposed the EU Accessibility Act one year ago to make services, including electronic ones like ATMs, easier to use for people with disabilities. The bill is still caught up in negotiations with the European Parliament and national governments. City transport authorities will have to make transport services like bus and metro stops easier to access under the new rules. But disability rights advocates have argued that the proposal focuses mostly on requiring transport authorities to provide better information for people with disabilities, but doesn’t do enough to ensure they have easier physical access to enter or exit transport hubs or ride in vehicles. Public transport authorities pushed back against suggestions that the accessibility act should require cities to improve access. The International Association of Public Transport (UITP) has asked for an exemption that would allow public transport authorities to prove that they are overburdened by the cost of buying new ticket machines with disability access. 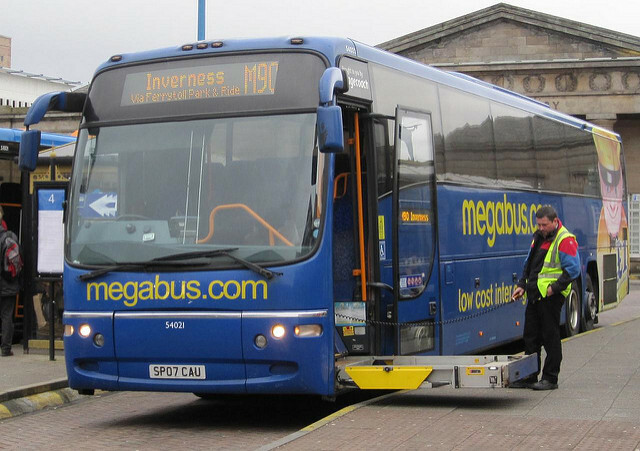 “The objective of making public transport accessible for persons with reduced mobility can be further pursued without the proposed directive”, the lobby group wrote in a recent position paper. Many cities around Europe do have some measures to help people with disabilities use public transport, but plenty of metro or bus stops don’t have special access. Gunta Anca, vice president of the European Disability Forum, which lobbies for the rights of people with disabilities, has to call city authorities 48 hours in advance if she wants to use a train in Riga, where she lives. Anca uses a wheelchair. Using buses and metro lines in Brussels is also “really difficult” for wheelchair users, Anca said. Public information about which lines and stops have access for wheelchairs is often wrong. Anca said many European cities’ public transport systems are lagging behind on helping people with disabilities: the UN convention on the rights of persons with disabilities marked a departure from a medical way of talking about disabilities to a concern for human rights. “One of the differences from the medical model is that people were previously supposed to use special kinds of services, but in the human rights model people are using services like everybody else,” she said. 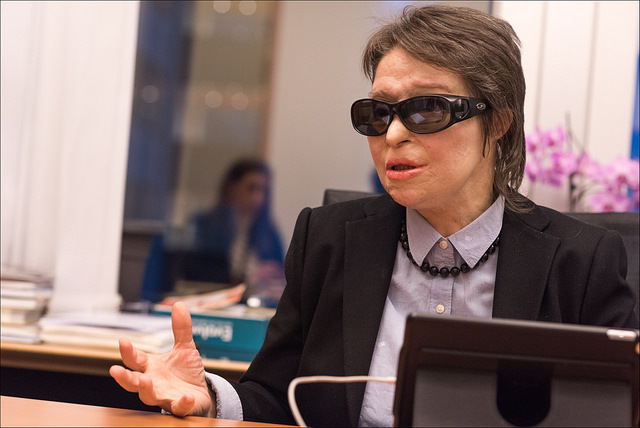 The European Commission has said its new accessibility act is consistent with the UN human rights treaty. Finland, Ireland and the Netherlands are the only EU countries that have not yet ratified it. EU passenger rights laws already guarantee assistance to people with disabilities when they use railways, airplanes, buses or ships—but those rights don’t cover local public transport systems. The Commission awards cities every year that deliberately improve their public transport systems to provide better disability access, highlighting the steps some local governments have taken. The award, according to the Commission, is a gesture to “ensure equal access to a full city life for persons with disabilities” who otherwise risk becoming isolated. Last week, Chester, a small city in northwestern England with a population of around 81,000, won the 2017 European Access Award, edging out bigger contenders like Rotterdam. In Chester, the entire fleet of 192 taxis are wheelchair accessible and have hearing loop sound systems to help people with hearing aids understand their drivers and coloured seats to guide people with impaired vision. The city also has wheelchair accessible buses and call-a-ride services. One main reason why Chester officials made the city’s transport system easier to access is economic: they don’t want people with disabilities to move away—or, preferably, even to shop in other areas. Chester’s population of people with disabilities is slightly higher than the UK average of around 18%. The city also has a “significant” ageing population, one city official said. According to Eurostat figures from 2012, 17.6% of adults in the EU have disabilities. The survey excluded Croatia and Ireland. Chester’s city council funds a service that offers scooters and wheelchairs to people with disabilities for their shopping trips. Each year, equipment is booked through the programme 3,000 times. The average amount of money spent on one of those shopping trips is £79, or around €93, according to Graham Garnett, a city council officer in charge of disability access issues. Garnett cited studies that suggest people with disabilities have more disposable income as one argument for funding the service. “It has a significant positive impact on the local economy,” he said.